In our Meet the Team series, we talk to Phillip Alexeev today to find out what he works on and the numbers that drive him. If you’re into lots and lots of data, Phil is your guy! Hi Phil! Can you tell us a bit about yourself? My name is Phil. I enjoy making music, DJing, cooking, traveling, and working on creative projects. I am Russian by heritage, but consider myself a true New Yorker, having spent that majority of my life here in the city. I’ve been working in Digital Marketing for the last 9+ years. Initially, I founded a digital marketing agency, but took a step back from running my own company to work on marketing for awesome and innovative companies like Sketchfab. What kind of work do you create as CG/Game artist? Unfortunately, my 3D modeling skills aren’t as developed as I would have hoped by this time, but I’ve been having a TON of fun with 3D scanning and Tiltbrush. Aside from being great and simple ways to produce 3D content, they are also now some of my favorite pastime activities. At Sketchfab, I head up the Growth team. We focus on all aspects of the customer lifecycle including acquisition, activation, and retention, and are constantly working on optimizing the customer journey. 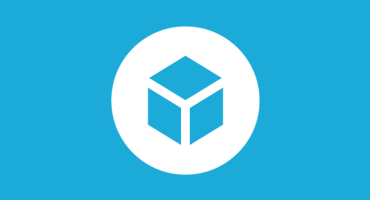 In a nutshell, our goal is to help the world learn about and use Sketchfab. The things that excite me the most about working at Sketchfab are: the awesome team that we have (seriously – I work with some really great people), the sweet new technology that we are always playing with and exploring, and the potential that we have for changing the world and the way that people consume 3D and VR content. I have a two-part answer. On one hand, the model that I am most proud of is the 3D scan of my 95 year old grandma. I positioned her scan on a backdrop of St. Petersburg, Russia, which his her home town. I also showed her the scan in VR, which was a pivotal moment for her to understand what I do and to see how far technology has come. It is one of the first 3D pieces I produced and the one that really connected me to the 3D/VR space emotionally. That story about your grandmother is SO good! Thanks for sharing. I’m glad you got to share your work with your grandma!